Hey, I’m Audrey. Welcome to my blog — Unconventional Baker! 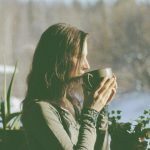 I started this blog with the aim of sharing desserts and treats that anyone can enjoy and that are free from many health sensitive ingredients such as gluten, dairy, eggs, and refined sugars, etc. I aim to keep all my recipes as nutritious, simple, and wholesome as possible, and of course absolutely delicious and fun too! I strive to create unique recipe that are nourishing and that can easily be enjoyed by most, regardless of health or dietary concerns. As such, you’ll find quite a range of recipes to suit various nutritional needs, but the basic common denominator is that ALL of the vegan recipes here are inherently gluten-free, dairy-free, egg-free, and refined sugar-free. Many are also free from oils, nuts, and other allergens. As someone who has a lot of experience dealing with food sensitivities and dietary restrictions, I know how hard it can be to find good recipes – especially when dealing with multiple “off limit” foods. But over the years I’ve learned that no matter what dietary challenges you are facing, there are still ways to enjoy a sweet treat! I love playing around with different ingredients (though always aiming to keep things simple so that they are within reach for most), recreating alternative versions of classics, and branching out and creating new and completely unconventional treats. In fact, my kitchen pantry is an ever-expanding area that is threatening to take over everything in sight at any given moment! I love to bake. I love to unbake (raw cakes are my passion and you’ll see plenty of them around here). I love variety and freedom in the kitchen. And I love sharing my creations on here so you can enjoy them too. I hope my recipes can in turn inspire you to find wholesome and delicious treats that will work for you. If you’re thinking about how to start a food blog yourself, definitely check out both that guide and the blogging resources page. 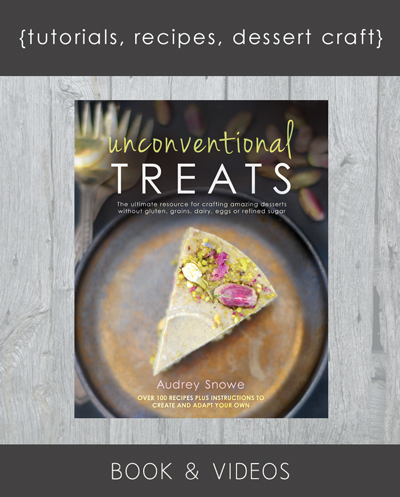 AUDREY SNOWE (FOUNDER & BLOG AUTHOR) is a baker, blogger, and author who loves to create and explore simple, wholesome, vegan, and allergy-friendly recipes. She originally started Unconventional Baker to document her baking experiments with alternative ingredients, due to her own dietary restrictions, but soon found that the blog had a wide appeal, becoming a recipe inspiration resource for the hundreds of thousands of people visiting it monthly. Audrey is an avid reader and runner, and loves to travel and spend time in nature, where she draws much of her inspiration for her treats and photography. JILL THOMPSON (CUSTOMER SUPPORT) is a people-oriented problem solver. She is a skill juggler and assists with many different facets of the website behind the scenes, including customer support, technical issues, website maintenance, and graphic design. She’s played a big role behind the scenes at Unconventional Baker since the very beginning, and spent time as a raw food instructor in the past. Jill loves traveling to new places, has a reading list that grows faster than she can keep up with, and has a weak spot for extra dark chocolate. JANEL LATO (VIDEOGRAPHER) believes delicious and beautiful foods are an important part of healing. In the years of coming to terms with her own autoimmune issues (Celiac, PCOS and persistent SIBO), food has been the foundation of reducing and eliminating most of her symptoms. 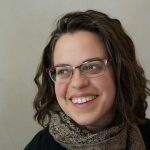 Janel is a trained photographer, birth doula, and life coach. Her work in direct support combined with her vast corporate experience in process and project management have taught her to seek clarity, warmth and innovation in all she does. Regardless of the modalities used, Janel is passionate in supporting inspired individuals to share their gifts with ease. If you haven’t done so yet, be sure to sign up for the free newsletter, where you’ll get exclusive recipes, tips, and other delicious updates directly to your inbox. Or catch me on Instagram or Facebook. I hope you enjoy the site and find something yummy to make. Hi Audrey and team, I think your recipes are genius in their simplicity and flavour! I am looking forward to trying tons of them! One web site query: when browsing the puddings I clicked to load more, looked into several individual recipes but each time , once I wanted to resume my search, the ‘back’ button brought me back the the very first page of puddings. So it took an age to find ‘my place’ again… Look at another recipe… And back again to the very start…very slow and very frustrating. Can you change this aspect of the search? Super well done! I will be baking from here! I am so excited to have found this recipe. I celebrated my first year as a vegan and I do miss some desserts, rasmalai being top in my list. Plan to check out the rest of the recipes. Thank you for sharing. A warm and sincere gratitude and congratulation for all the Unconventional Baker team. My name is Lau, I’m from Ecuador- South America. I’m a dancer. I love cooking and practice veganism as a way of living. Since childhood I´v loved desserts and cakes and it was very frustrating at the beginning when I changed my diet. I felt I could never have a dessert again :(. Time passed and I found lot of healthy options. But when I found this blog everything changed… I think words can’t explain how grateful I feel for the way you share so much information and love! Here I found everything I was expecting and looking for about baking and really changed my perspective. I made the cranberry almond oat-free granola. I used a 1/4 c measure of the solid coconut oil, and then melted it. The granola was very greasy and wet. Should the recipe read “1/4 C melted coconut oil’? I ended up baking the granola to get rid of some of the moisture, but it is crunchier than I wanted. Just discover your blog. How incredibly amazing and useful! Thank you! I want to make surr I do this properly. Would you be kind enougn to specify which measuring system you are using please. One tablespoon = 15 or 20 ml? My tablespoon is 15ml, and my cup is 250ml. Thanks so much, Amanda :) I’m so happy you’re enjoying the site. Your stuff is absolutely gorgeous! I can’t wait to try some of your recipes. Good afternoon. I’m from Russia. Thank You for Your website! He’s great! Today I baked according to your recipe , but I have nothing left (( What size Cup You mean? and in Your recipe book you measure the ingredients in milliliters and grams or in cups too? I think it would be much easier and more precise if You gave a more accurate amount of ingredients in recipes requiring baking especially! Thank You again for your attention and website! Thank you very much for your lovely note :) I’m really happy you liked the recipe. My cup sizes are 250ml, tbsp is 15ml. In the book the measurements are the same as on the blog. I find measuring in this way works best for my recipes and makes the process faster than weighing somehow. It must be a North American thing (I’m in Canada, by the way ? — I saw you asked elsewhere), because I just can’t switch to measuring in weights :D For my recipes, the accuracy level you get with cups works great though. I have just found your blog and recipes when I was on a search to make a Paleo dessert for a friends party. It was Italian themed so I found your Tiramisu and made it. It tasted absolutely amazing! Unfortunately, I am not sure it it is because of the blenders I used or what but it didn’t “fluff” up very much. It was pretty flat. The mousse layer was dense. No one knew the difference, It still tasted great, but I know that I didn’t do something right! I have recently changed to a Paleo diet. I am new at the whole thing and have a blast finding all of the many yummy recipes that you can make grain, dairy, and unrefined sugar free! It is amazing! I am absolutely in love with your blog! I am a very amateur blogger, not for food but essential oils and just stuff about that as well as personal pieces about me and my family. Your pictures are done amazingly well and they make your recipes look amazingly good! Bravo! I aspire to be a blogger like you! I have a question about your recipes. I have no problems with eggs. I think they are a great source of protein. Is there ways to integrate eggs into any of your recipes, or should I just stick to your recipes? I would not want to mess up a good thing! 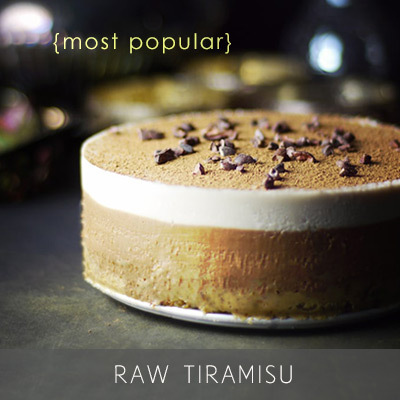 About the tiramisu specifically, it wouldn’t fluff up the same way a traditional tiramisu would because it’s a “raw cake” adaptation, which means it would naturally be more like a tiramisu-flavored “ice cream cake”. However, you could thaw it out longer for a more mousse-like consistency. About the eggs, I don’t think they need to be integrated into the recipes because I don’t try and substitute them out of recipes I create, but rather I create recipes that naturally don’t require them. I’d say that’s the case for about 99% of my recipes. There are a few odd ones where there’s a flax “egg” involved, in which case you could switch it to a regular egg if that works better for you. Just what I have been looking for – and MORE! How do I sign up for the free newsletter? Is it possible to get the nutritional analysis for this recipe? Calories, sugar,and fat per ball would be really helpful for us diabetics. Thank you. Hi Marie, unfortunately I don’t have the nutritional analysis for each recipe as I’m not a nutritionist and I don’t track them for myself personally — I just focus on sharing wholefood recipes. I do understand though that for some people certain nutritional values are important, so for those that do I can just recommend this free service where you can fill in the ingredients of a recipe (and any substitutions you’re planning on making) and get exactly the values you’re looking for. This is an awesome blog with amazing recipes thank you Audrey! Thanks so much, Mary! :) Glad you’re enjoying it. Audrey–I am so pleased to have found your blog–and your talent! I have found myself dealing with several auto-immune conditions myself (scleroderma, Sjogrens) and went off of refined sugar well over a year ago. I am a bit of a baker and I’ve had some fair success adapting recipes (and some dismal failures as well-ha!). My mother also has a huge list of food intolerances, including gluten, eggs, corn, etc. I have tried a couple of your recipes so far and they have been fantastic! I loved the blood orange bundt cake and plan to make it again next week for my birthday :) This weekend, though, when I have my mom over for dinner I will try the Texas sheet cake, as that has always been a favorite of hers and I’m sure she will be excited to get to eat it again. So–many thanks for providing me with a plethora of recipes to safely appease my sweet tooth! So happy to hear some of these recipes are working out for you and your mom, Karen! :) ? And gosh, so many baking successes and utter fails along the way for me too — all part of the fun ? Thank you for the lovely comment and for saying hi! Hi Lee from Portugal ?? Thank you so much for the beautiful comment and for saying hi! Really appreciate it. Hi Audrey, my name is Jane and I live in Toronto Canada. At this time until I have more time to tell you about myself, I just wanted to thank you for sending all these incredible recipes my way! You truely are gifted in so many ways when you have literally have been forced to come up with ways in which to make the amazing foods that you do to accommodate those with strick diets due to allergies and such like myself. I haven’t tried anything as yet but will and when I do, am sure I will love whatever it is! I have passed this info along to an amazing friend of mine who I knew would love to get her lovely baking hands on it. Just to try something new! Will stay in touch to let you know how things are going. Thanks again for your amazing works! Have a great day till next time. Janie. Hi Janie. Thank you so much for your lovely note :) I’m really glad to hear you are finding inspiration and ideas from these recipes. Makes me all the more happy to share. I hope you and your friend figure out something tasty to make from these options. 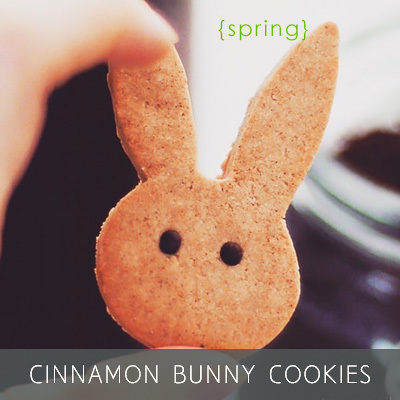 Happy baking and see you around! Audrey… I love your blog and every single one of your creations. I have done a lot of raw recipes in the past but noticed there aren’t a lot out there for people with nut allergies . What, if any, could you substitute for pie crust? Thanks so much ? 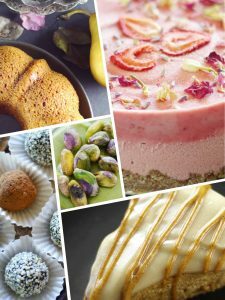 I did a variety of nut-free raw desserts, so there are some options for crusts (not sure if you saw the recipes section yet, but if you select “raw” and “nut-free” you’ll come up with all kinds of goodies from the archive). I’ve also done combinations of some of the above with instant oats or shredded coconut in the past — I find both oats and coconut to not work on their own, but when combined with another seed they make wonderful crusts. Ps: olive oil is the only one she can have and it has to not be heated up. https://www.unconventionalbaker.com/recipes/pistachio-orange-blossom-raw-avocado-cake/ (though you’d have to keep it frozen until serving time). https://www.unconventionalbaker.com/recipes/pumpkin-seed-butter-ice-box-cake/ (replace maple syrup with date syrup. Not sure if cinnamon and vanilla are ok? If cinnamon isn’t, can always add a bit more vanilla or use a whole vanilla bean pod to give it extra flavor). Let me know and can go from there :) I’m pretty sure this is very doable, even though it seems challenging. I really love your blog, it’s absolutely brilliant! Oh Audrey – that is beyond cool!!! Yes, it’s ok to use flowers as decoration. I’m so excited, Audrey, love all the recipes of yours that I’ve tried so far and so does my family when they get a chance to try it before my kids finishes off whatever miracle of yours I’ve recreated. I’m a big fan of yours, can you tell? ? I’m so happy to have discovered you!!! Congratulations for your work!!! Thank you so much :) Enjoy the blog! I tried to make your mango-cheese cake several times, which by the way tastes great, but there is a problem; when I put the cake in the fridge, straight from the freezer, it tends to slowly fall apart. Not the crust, that’s going just fine, I mean the filling, it starts to melt. At first I thought that it was meant to eat it when frozen, because each time I had the same problem. Even putting it back in the fridge was no option, it just melted the day after in the fridge. So I went looking for a binding agent, that can be used in cold recipes, not simple to find, but eventually I started using Agar-agar. At first it seemed to work out just well, but after 1 day it fell apart again. The reason is that Agar-agar looses it function when confronted with lemon, which is obviously the case with the mango-cheesecake. So what is going wrong here? I had the same problem with the tangerine cheesecake, but since there is less lemon in it, the Agar-agar is working well. When I prepare the filling it always seems that is it much to liquid to ever get stiffen. Any suggestions or solutions? Also I tried to make the Lady Grey Chocolates today, something must be wrong with the proportions. As you write “poor the mixture into the mold” I assume that your mixture is liquid, mine was like a strong crumble. I don’t see how 7 tbsp of coconut sugar in combination with 5 tbsp of cacao powder and 5 tbsp of cacao butter (liquefied) could ever turn into a creamy mixture. I’m thinking of replacing the coconut sugar with maple syrup, but in the meantime, I would like to know where it’s going wrong. The cake must be melting because it isn’t meant to go in the fridge — it’s meant to be frozen until eating time. So just before eating you thaw it out on the counter a little (like 10-15 mins) and it’s good to go, but should be kept frozen otherwise. Just so you get the bigger picture, the way the raw cheesecakes work is that when you blend the filling it should be quite liquid / thin, but once it goes to the freezer the coconut oil (or sometimes cacao butter, depending on recipe) set and firm up — but it takes the coldness of the freezer to get it to set. I’m not sure if you bought just the book or the book + videos, but if you have the videos pack there’s a video in there about how coconut oil works when it comes into contact with heat / source of cold. The fridge isn’t cold enough on its own to get the filling to set, so the cakes need to be kept frozen until serving time. No agar-agar is needed for the raw cheesecakes. About the chocolates, they do have a bit of a texture to them — so not 100% liquid, but liquid enough to be poured into the molds. Definitely not a crumble. If it’s a crumble it sounds like the oil is too hot when you add the sugar in and so it starts to cook. Again, not sure if you have the videos with the book, but there’s a video in there for making those chocolates where I explain some of the basics in more detail. But briefly, you need to make sure the coconut oil is liquid but is at room temperature and not hot at all, as otherwise it starts cooking the sugar. Using maple syrup is an option — there’s a recipe in there (the mulberry chocolates) that uses maple so you can see how that works. But for a Mexican-style chocolate that bit of “grit” is an essential component. I’m Susana, a spanish in rome. 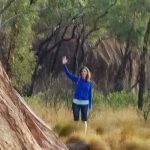 Found your blog through another blog (doingitaly.com) and loved it from the beginning. Ingredients and recipes were a thrilling wonderful surprise. Suffering of dietary limitations I missed cakes and desserts and had started baking due to this limitations, so your blog was just what I needed…recipes, tips and some encouraging . Thank you so much! Hi Susana! Welcome and thanks for saying hi :) I do hope the recipes here can give you some inspiration for that dessert gap. Happy baking! I am excited to find your blog and website. I am gluten intolerant and am in the process of healing so your site is a goldmine. I am also a coordinator for a community cooking club that celebrates more fruits, veggies and whole grains in our meals. I look forward to receiving your newsletter! hello!! i just bought your book and it’s amazing! i have a struggle that i’m trying to solve with my cakes! i want to make a layers cake with a thin layer of raspberries jam/puree in the middle/at the bottom. the problem is : when im cutting the cake into slices, the jam is getting out. the top layers squeeze it so when i serve it, it’s no longer beautiful and impressive. what can i put in the jam so it wil be stable? Hi Moran. Oh, yes, I know what you mean. You can mix the jam with some coconut oil (blend them together first). The coconut oil will help it firm up / set better. I’m thinking of making your vegan condensed milk with Coconut manna. I have a vitamix. Which container do you use. The dry or the wet and what speed. Hi Jennifer. I use the wet pitcher (I don’t have a dry one as my vitamix is older). I control the speed intuitively. I usually work up to full speed pretty quickly, and see how it goes. It usually requires pausing a moment, pulsing from time to time, then working up to full speed again and so on. Hi Audrey, I recently came upon your website. Everything looks fabulous and I plan to buy the book and videos soon. I too have an autoimmune disease and embarking on a plant based journey. I was on that path once before but fell off hard. Not as easy to get back this time. I was wondering if you had insight into how you overcame, if you did, or autoimmune conditions. I am a nurse and have a website http://www.healthpromotionassociates.com. As the name suggests, I do health promotion. My book is about self management. Would love to connect with you and looking forward to trying your recipes. I think they are so creative. I cook, but would even begin to put things together the way you have. The pecan cookies sound scrumptious! I just noticed that you also at one time had Raynaud’s. Is it gone now and if so, what do you think made the difference? Mine isn’t too bad, just fingers turning white when exposed to cold, but I can get the color back pretty quickly. Would like to work on resolving the causal issue tho. Appreciate any input you are willing to share. Hi Audrey, I am so happy to read your blog and try your recipes! I have been experimenting with healthy sugar free ish recipes for many years…my first attempts were like rocks! I love substituting ingredients as well so we are kindred spirits!! thank you! Audrey! I just found your blog today as I was looking for a good substitute for Sweetened Condensed Milk. My children are allergic to dairy, peanut, cashew and pistachio, so sometimes there are ingredients that recipes call for that are very difficult to substitute. I am soaking almonds right now (to replace the cashews in your recipe — hope it works). Your recipes look absolutely lovely and your photography is impressive! I can’t wait to explore a little more on your website and try out some of your recipes. That tiramisu looks — to die for!!! Thank you! Hmm…. almonds. Well how did that turn out? I imagine the flavor is more almondy, as cashews lose their taste when blended.. But I’m super curious what happened now! Thank you Audrey — The sweetened condensed milk worked pretty good with almonds, I would say. I did remove the skins after soaking. The only thing that bothered me a little was that despite using my vitamix to blend everything together, the end result was a little grainy. I blended and blended — until my vitamix got a little warm — but it didn’t blend down as well as I would have liked. That being said, I used the sweetened condensed milk in a pumpkin pie recipe and you couldn’t tell at all that it was grainy. The pie cooked perfectly and it tasted great. I would do it again with almonds for sure. I will continue to explore your website — it is beautiful! I’ve experienced that as well with almonds — they don’t blend down as smoothly, as they are what I call a “hard” nut, unless the conditions are right (i.e. there’s lots of liquid in the blender or they’re roasted, for example). But I’m really happy to hear that work out nonetheless! I stumbled upon your blog when looking for a paleo sago pudding recipe. Was so easy to make and I’m looking forward to exploring your site for some more great recipes. I don’t have food allergies but have cut out refined sugar and dairy. I live in Australia. Hey Jen. So glad to hear you liked the pudding :) And glad to have you aboard all the way from across the world. Australia is such a lovely place — loved visiting. If you’re looking for more paleo recipes by the way, you can check off the grain-free tab on the recipes page. Otherwise, everything is dairy and refined sugar-free around here. Happy browsing & I hope you find some inspiring things to play around with. Hey Audrey, thanks for a great blog. You are so creative with unique style and ingredients! I live in southern Alberta – so we’re fellow Canadians! Currently following the AIP protocol, so still fairly restricted, so some of the treats you make that I have been eyeing will have to wait. I will soon be traveling to Quebec City and know that my restrictions are going to be a huge challenge. Do you have any knowledge of cafes or restaurants that are at least Paleo? Any tips you could send my way are so appreciated. There isn’t much help on line in this regard. Thanks eh! About the cafes… I must admit I’ve never made it all the way up to Quebec City. I’m currently in Ontario. I lived in Montreal for a time, but never really explored outside it… Failing a bit at being Canadian here ??. Not to mention back then I really had no idea what paleo was. By the way, I used to make lots of AIP recipes a few years back, so there may be some things you can make now… Or maybe you know that already! But in case you don’t, just search AIP in the search bar. I cannot really express how amazed I am from your Blog, your attitude, your recipes – I could keep going forever! I’ve started cutting refined sugar out of my diet about 1 1/2 years and I never felt better with a decision in my life. With that, I started to have a closer look what I’m eating in general and automatically got more fresh and wholesome produces. However, I realized that I am actually quite hard with myself and haven’t eaten treats, healthy or not, for quite a long time and even start thinking if sugar supplements like maple syrup, agave or all the others are actually good. I think that way of looking at treats isn’t healthy either as it’s all about balance and your blog makes me realizing that too. I was wondering, as your recipes are with any kind of nuts, can you recommend where to get good quality nuts without spending a fortune? Thank you so much for taking a moment to write in :) I’m so happy you’re feeling inspired. And I agree — it’s all about balance and making peace with food in the right way, as opposed to creating restrictions and limitations (been there in so many ways and it never ends well in my experience). It’s just a matter of finding what works for your body and what keeps you happy and healthy. About the nuts. I don’t know that I can recommend something in NYC as I haven’t shopped there all that much. I know there’s a Whole Foods there, but it’s hit and miss with big chain stores like that in terms of product freshness I find. Here (Ontario, Canada) my favorite place to get nuts is a local organic & natural product shop — I started by getting just a small batch to test things out and they were really fresh and tasted great so I started buying them from there. Their prices are not bad either. I’ve been to other health shops though where you’d expect quality yet the nuts weren’t so fresh — I think it’s really up to the supplier, so it’s a matter of tasting and figuring out who carries the best ones at the best value locally. I hope you get settled quickly and delve into your new baking and food adventures! Hi Audrey, I’m so expired by your recipes and blog. You are so encouraging and welcoming. Thank you for sharing all your amazing advice and pro tips. I bought your book and can’t wait to try some recipes out! Thank you so much for the kind comment! :) I appreciate you stopping by to say hi. Hope you enjoy the book and blog. My name is Kathy and I’m from Australia. I saw your website while looking at carob recipes. I also love baking and making desserts but am becoming increasingly interested in making healthier desserts/ cakes/treats, because it feels good to eat something yummy and know that it’s also doing you good as well. I would love to see more of your recipes, they look really good. I love to eat healthy (well, most of the time anyway), a journey which started 5 years ago when I lost quite a significant amount of weight just by eating healthy foods and exercising. I don’t have any food issues myself, but there are people in my family who do, so I also like to get recipes that they can enjoy too. Looking forward to hearing from you. So lovely to hear more about you and how you came to the blog and about your journey. I absolutely love experimenting, creating, and having fun in the kitchen with more wholesome ingredients. I’m not allergic to nuts for instance, but am happy to create lots of nut-free recipes to share with those that are, etc. In addition many of the allergies and food sensitivities I myself started this journey with have disappeared or lessened immensely over time, but the love of working with these ingredients has only intensified :) So these days it’s all about the joy of the creative process, having fun with new things, and being able to share that with others online via recipes or with those around me. I hope you enjoy the recipes and find some inspiration in them. Thanks for stopping by! I can’t believe your blog! What a find for me! Feeding my children is a chore. I have a son that just finished chemo, a daughter with candida and another son with Crohn’s. I thought delicious treats were lost to us forever! Last year was tough and homemade goodies did go a long way for morale, but we are OVER the few treats I could whip up. You have helped bring hope for yummy treats back into our home! Thank you! Hi Jonell — welcome to the blog! :) And yes, searching “vegan paleo” or “vegan grain-free” recipes will get you lots of eggless options. I hope your daughter’s digestion will improve and you can find the right ways to help her balance her digestion. I loved you blog. Your recipes are A M A Z I N G, and have helped me a lot!! I love cooking, especially foods I know won’t harm my body. I’m from Brazil and, due to the eating habits of people where I live, its really hard to find the ingredients, and to find good food if, for some extreme reason, I can’t cook. But I always find a way to try your recipes, and I have nothing to complain. Actually, I have to thank you. Thank you for sharing all this deliciousness with us! Annie, I’m so happy to hear that. And I know how you feel — even though we’re definitely lucky to have a huge variety of foods from all over the world in Canada, I live near a very tiny town with a very limited variety of good food / ingredients. So many things I’d love to try all the time, but I often have to wait for a trip to a big town to finally pick up the ingredients I need, and so on. And yet, even with the small selection of foods out here, I manage to find ways to make things work somehow :) I’m really glad to hear you’re enjoying the recipes! Thank you, Sally! :) Enjoy them! You have inspired me greatly! I just made a version of your strawberry macadamia “cheesecake” but I substituted cashews and blackberries(which was amazing). I made it for my husbands 39th birthday and he absolutely loved it. My mom passed away from brain cancer(or actually passed away from all the modern meds she was given) 7 years ago and I have been interested in whole foods eating ever since. I don’t want to go down that same path she had to venture and I want to inspire my 4 children to carry this way of eating as a “normalcy” in their life. I slip up sometimes because it is just plain easy to grab something non-healthy but I know the effects that sugar has on my body,also that it feeds cancer cells. You have shown me options that can satisfy my tastebuds as well as enjoy the beautiful ingredients that God has laid before us. Thank you for sharing your Ah-mazing recipes~they are truly a masterpiece. Just came across your site via Pinterest and LOVE LOVE LOVE!!!! As a Holistic Nutritionist I am always looking inspiring new ways to incorporate nutritious whole foods – (especially veg) – into everyday meals as well as sweets – (because we know everyone has a sweet tooth!). You’re cakes and sweets look absolutely incredible and have all the nutritious ingredients I love to use and recommend! I am a huge fan of Cauliflower and make a chocolate mousse, pancakes, rice and more! So when I saw your beautiful cauliflower cake, I had to see more! So inspiring :-) thank you for sharing your gift of making Nutritious food look so beautiful. Mish, thanks so much for stopping by — and I’m glad my cakes are up your alley :) That’s what I love about making these as well — if you’re going to indulge as often as I do, better make it count ? Pingback: There’s No Place Like HERE | Sit . Sip . n . Be . Thank you Audrey for such beautifully crafted tasty and healthy recipes. I used to live baking too, before diagnosis of hypothyroid and food sensitivities. I really appreciate your creativity and generosity in sharing so many of your creations. Hello. Thank you for all of this. I am just beginning this journey. You are welcome! I hope you enjoy the recipes and let me know if you ever have any questions. Just had the pleasure of stumbling on your (now favorited) site. I was diagnosed with celiac disease 6 months ago and am on a beautiful journey of feeling better than I ever have. I love your philosophy on food and I undoubtedly will spend hours poring over all your recipes. Thank you so much for stopping by and saying hi :) I’m so happy to hear you’re on the mend. I can really relate to that feeling of relief when you’ve finally figured out what’s wrong. Enjoy the recipes (and the journey :) ) and let me know if you ever have any questions. I am looking for recipes to try with my 8 year old son who loves helping me in the kitchen. He’s been diagnosed with ADHD and the nutritionist recommended a paleo diet with sugar cut out. He’s been going through my recipe books and wants to make a cake but we can’t use any of those usual sugar loaded recipes. So I am so glad I found your website full of sugar free sweet treats, and especially the nut free flourless chocolate cake! LOVE IT! Can’t wait to track down some white mulberries and try it out. Thank you so much for stopping by and for sharing. I could just picture your boy helping you in the kitchen — that’s so sweet! I love that he loves helping you out. These raw coconut snowballs are the easiest thing to make and are a great little treat. These cut out cookies are always fun to bake (in any shape) with a helper. These carob truffles are fun to make for something “chocolatey”. Hope these give you a lead :) You can find the full grain-free collection here, or if you’re looking for all nut-free options, then have a look at this AIP grain-free section. I also have Raynaud’s syndrom + bad circulation in general… i think the no sugar is helping… any other tips? Really happy to have found you!! Thanks so much for stopping by and for sharing! I love that you and your kids liked the pumpkin chocolate cake :) and I totally understand your situation. I love the mixing and trying part personally — that’s where all the fun is! Your flour mix sounds amazing, especially with that chestnut flour in there. In Which province do you live in Canada? I am from Québec and I would like to know if you give classes? I’m so grateful to have stumbled upon your website! I also have a food website (goldenloveandlight.com) but have become sort of frustrated because due to health issues I’ve been forced into a refined sugar free, grain free, gluten free, no highly processed foods diet and it’s been a struggle. In many senses I’ve lost my ways in the kitchen. I want to indulge on occasion and feel defeated because I just don’t know how to cook for myself anymore. It’s been a learning process, but your recipes are giving me something to look forward to! Thank you! Thanks so much for saying hi :) I can totally relate. Having been there, I know you’ll make it over that hump and be inspired to make delicious but good-for-you things in no time. And I’m curious to check out your blog now… Enjoy the recipes and let me know if you have any questions. Thanks so much for stopping by and sorry for the delayed reply. I actually responded to your comment a while back, but seems like it disappeared somehow! I hope you and your daughter enjoy the recipes! And let me know if you ever have any questions. Thanks so much for stopping by and saying hi. I’ve got several friends affected by Lyme — I know it’s a real toughie to handle! I’m so happy to hear things are turning around for you! I love your blog!!! I am a dairy, almond, corn allergy sufferer so I have had my fair share of gastro problems. Last year I was diagnosed with IBS on top of everything else that was going on with my body. I had almost given up hope on what was wrong with me, but now I try to eat as healthy as possible. Since I am a bodybuilder I am very in tune with what goes into my mouth but still have trouble with sweet cravings. I have had some trouble staying away from the refined sugars when it comes to my “cheat meals” or even just snacking and I’m looking for a way to help my mom out who is pretty much a sugar addict. After reading this I’d really like to follow in your foot steps and cut refined sugar out completely. All your recipes look so delicious and easy! I think I’ve printed off at least a dozen or more to try! So I just wanted to say hi and thank you so much for the inspiration!! Hi Caitlyn — thanks so much for sharing. And yeah, cutting out refined sugars can be tricky, but also quite easy once you get the hang of it. And if you’ve got the right ingredients on hand then it’s easy to beat the cravings with healthier sweets that actually taste a whole lot better and are much kinder to your body. Happy baking and I hope you and your mom find some goodies to enjoy! Hello! I was really interested to read your story after coming across your lovely Lemon Curd recipe. I originally came to this type of ‘diet’ as a long time vegetarian, later vegan, and then natural therapist and student of nutrition. I studied more in-depth last year and quite bizarrely at the same time also went through my own health issues. I was recently diagnosed hypothyroid, among other things, and have met many people like yourself with a lot of auto immune conditions. Diet comes up again and again and I think part of the reason I didn’t suffer as badly as others despite a really poor functioning endocrine system, was because my diet was already pretty good. I am pleased to discover your blog and will share it on the groups I am a member of. I have adapted one of your recipes for a Lemon Bar I created for my daughter, I’m still tweaking it but when I blog it I will be sure to link to your wonderful recipe. Thank you so much for stopping by and so sorry it took me so long to reply. I’ve been away a few months and somehow your comment slipped by! Amazing how much diet can help, isn’t it? My mother has had hyperthyroidism for over 2 decades and has been able to me entirely off meds because of a dietary change. I was really amazed at her health transformation as she used to take incredibly heavy meds before and was told her case was pretty much hopeless. The doctors were really pressuring her to do chemo but instead she took the diet approached and was able to drastically turn things. I was blown away by that. I know it won’t be the case for everyone, but I also know that for many it’s totally possible! Can’t wait to see your lemon bars, if you ever get around to them ♥ :) and look forward to exploring your blog! So excited to have found your website! I currently follow (or try my best or suffer the consequences) a GF/DF diet to control my rheumatoid arthritis which I’ve had for 13 years. 3 1/2 years ago I eliminated gluten & dairy from my diet after talking with my sister in law, who was newly diagnosed with an autoimmune disease. When I asked her what medicine she was on she said none-she didn’t want to take medicine for the rest of her life & was managing it with diet. She described how her pains stopped when she changed her diet. Within 1 month of eliminating gluten & dairy, I no longer needed my medication, as my joint inflammation went away. What I miss the most following a GF/DF diet are the baked goods. I can’t wait to try your recipes! They sound & look delicious! Sorry it took me a while to respond, but just wanted to say wholeheartedly thank you for sharing your journey. Your success story is the kind of stuff that makes my day ♥ I’m so happy that a simple gluten and dairy elimination helped you so much. I hope you find some great goodies to make to keep that sweet tooth content :) Happy baking! So happy I stumbled upon your blog, it is creative and everything looks so delicious! Thank you for creating such a beautiful blog. I only just found it and I can’t wait to try some of your recipes. The photos are just incredible by the way! Thanks so much for stopping by, Ellie, and thank you for the kind words :) I hope you enjoy browsing through the recipes and find something that inspires you! My father was diagnosed with CHF a few years ago and it’s been a huge struggle for him to find a diet that fits his needs, without being unbearable. We grew up with my mom’s southern cooking, so although he has been vegetarian for decades, giving up all sweets has really been a challenge! I just stared experimenting with the Paleo diet and can’t wait to turn my dad onto it! Thank you for providing recipes that I can make for both my father and I (especially the carrot cake). Believe it or not, small things can really mean a lot. That’s great to hear, Miriam. Thanks for your comment and enjoy the recipes and the journey back to good health! 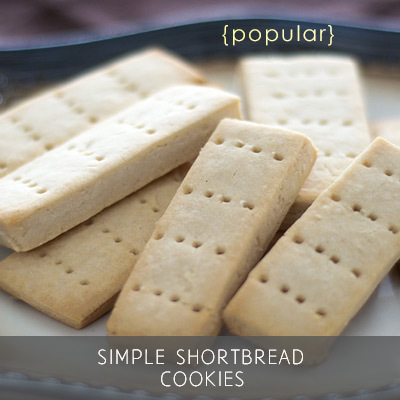 Loving the layout, photos and recipe content on your site. Awesome job! Thanks for the invite, sakk! Can I order your book in Belgium? You can purchase the book from amazon.fr (since it caters to Belgium customers). It’s also available on Amazon in the UK, Italy, and Spain. I think Amazon.fr is your best bet though. Enjoy!